We, undersigned organizations from all over the world, strongly condemn Japan Bank of International Cooperation (JBIC) who has just disbursed the loan for 1000 MW Cirebon Coal-fired Power Plant expansion plan, known as Cirebon 2, in West Java, Indonesia, and also condemn Japanese Government for continuously supporting and financing fossil fuel projects, especially coal, which are incompatible with Paris Agreement 1.5C goal. On November 14, JBIC disbursed the first loan for the controversial Cirebon 2 project, which Japanese big companies, Marubeni and JERA, have invested in, even though the validity of the new environment permit is still in question. The new permit has been recently issued in lieu of the previous permit that was declared illegal by the district court, and the local groups are ready to file a lawsuit in a week to demand the cancellation of the new permit. JBIC previously concluded the loan agreement one day before the decision of the district court last April 2017. We express our strong objection against JBIC’s continuous neglect of the illegality as well as the local community’s voice and rights. The local residents are heavily suffering from the loss of livelihoods due to Cirebon 1 (660 MW) which JBIC also financed. Thus, the local residents have pleaded with JBIC not to disburse the loan for Cirebon 2, to prevent further damages to their life. JBIC’s loan disbursement for Cirebon 2 project and Japan’s continuous support for coal projects undermines global efforts to fight climate change here at COP23 in Bonn, as well as on the ground all over the world. JBIC has recently financed Batang, Tanjung Jati B expansion, and Lontar coal power plants, too. In addition to that, Japan International Cooperation Agency (JICA) is currently considering financing Indramayu coal power plant. Those projects are all located in Java Island and a total capacity is 6455MW if all these projects are carried out. JBIC, moreover, is expected to finance at least 8 new coal fired plants projects all over the world, including projects in Vietnam, Myanmar, and Botswana as well as Indonesia. Most of the projects involve controversial land acquisition process, or land grabbing, lack of transparency, human rights violation and environmental degradation. 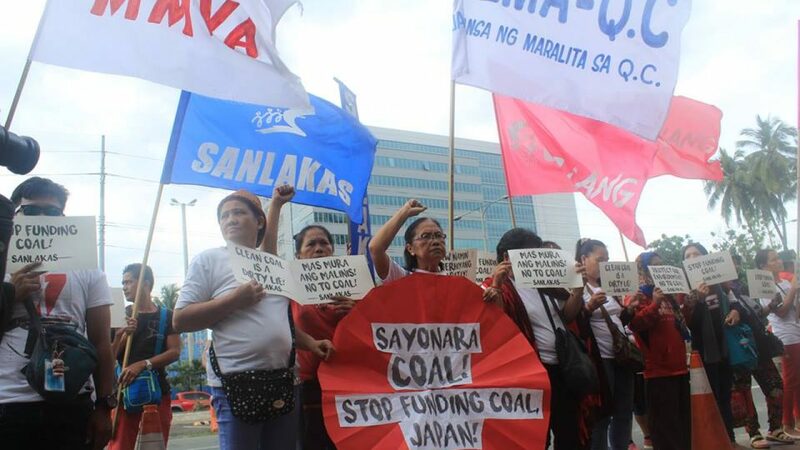 We demand that Japanese government stop funding dirty energy projects and support universal energy access for people and communities with democratic, de-centralized and sustainable solutions. This letter is signed by 224 organizations, including those working at international and regional levels plus organizations working nationally in 22 countries.